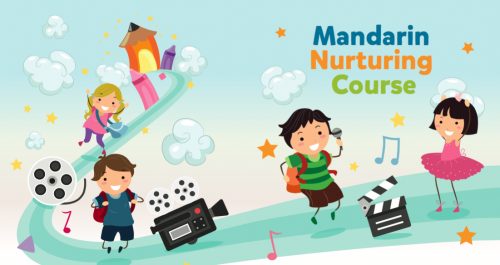 Our hallmark language nurturing course is designed to get kids interested in learning Mandarin, infusing edutainment and elements of the performing arts into a unique media-based curriculum. The curriculum is interactive and comprehensive, supported with theme-based and progressive learning that enables children to progress to a higher level of learning systematically every year. The course is also designed to develop students socially, emotionally and intellectually, while facilitating language learning through areas such as social etiquette, self expression, language games, pronunciation, art appreciation and new media content creation. 谢谢老师们一年的教导，今晚看到 孩子们 在台上的表演，真的很好、很棒。Singapore Media Academy has arranged an excellent platform (MES Theatre at Mediacorp) for the kids to perform (Kids Showcase 2016); good script & good environment to boost kids' confidence on stage.